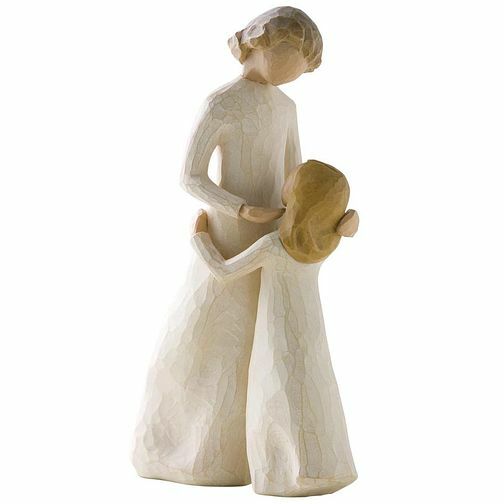 Simple and elegant, this figurine from Willow Tree features a mother and daughter looking adoringly at one another. Set in versatile neutral tones, this classic collectible is an ideal gift for mothers and daughters alike. Willow Tree Mother And Daughter Figurine is rated 4.9 out of 5 by 10. Rated 5 out of 5 by Anonymous from Beautiful Ornament Not only is this a beautiful ornament but the service from ordering to delivery was quick and very efficient. Rated 5 out of 5 by Anonymous from Beautiful Wanted to get something different for my mum this Christmas. Its beautiful and she really loved it.